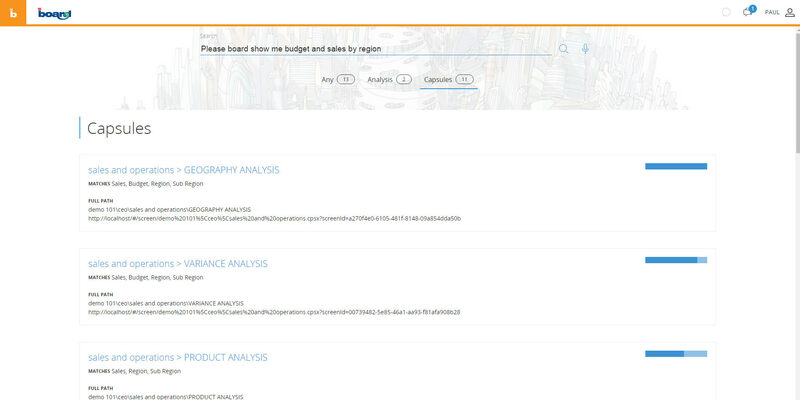 BOARD HTML5 Brings business into the Cognitive Space. In order to use Cognitive Space, you must click on the board button and select the orange entry "Cognitive Space"
The Board button will turn to orange, this means that you now are in the "Cognitive Space" environment. Search results will include analysis and capsules. 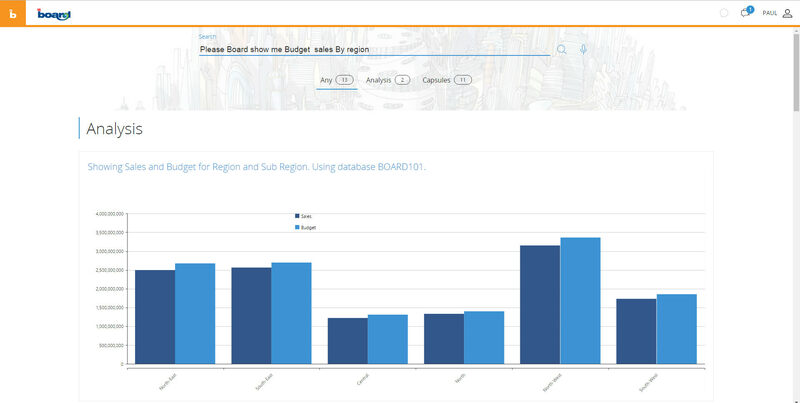 This chart is interactive: you can drill it, export or ask Board to describe it with the Analysis button. If you scroll down or click on Capsules, you will also see the list of screens that match your request, sorted by "search score". To get an audio and textual description of your report.